I strongly encourage all woodcarvers to secure their carvings with the use of a holding device, such as a carving arm. Holding devices secure the carving allowing the woodcarver to use both hands on the tool. This technique provides greater tool control and reduces the chance of injury. 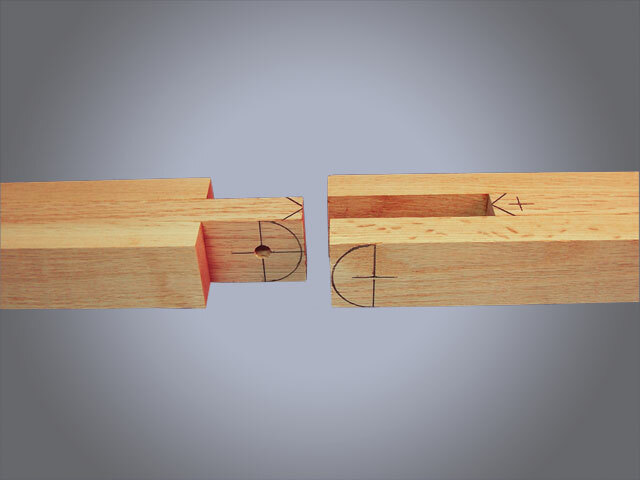 A holding device is indispensable when carving with a mallet and gouge. While there are many commercial holding devices available, you can make a simple carving arm with a minimum investment in time and materials. 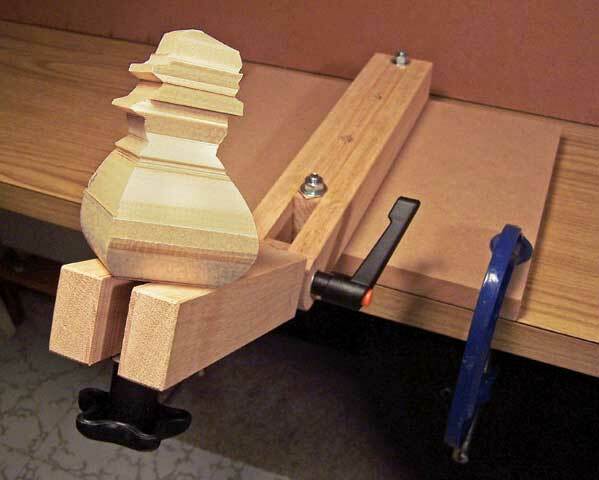 This carving arm is well suited for small- to medium-sized carvings. It will stand up to slight to moderate mallet and gouge work. To make a heavy-duty carving arm for larger carvings, adjust the drawings as needed and increase the size of the materials. Start by cutting the parts to the dimensions listed in the materials list. Use the same piece of stock for both center sections to ensure they are the same thickness. Cut the center section into 10″ (25.4cm)- and 8 1/2″ (20.3cm)-long pieces. Use the drawing as a guide to glue and clamp the three sections of the moving arm and the three sections of the fixed base together. Step 1: Prepare the hinge. Use the drawing as a guide. Mark the location of the hole on the center section of the moveable arm. Mark the location of the hole on one side of the fixed base piece. Use a compass to draw the radius of the hinge joint around both hole locations. Drill 5/16″ (8mm)-diameter holes through the moving arm and the fixed arm. Drilling the hole through the fixed arm after gluing ensures the holes are perfectly aligned. Cut the radius of the hinge joints. Round any sharp corners on the arm with sandpaper. Step 2: Finish the carving arm. Cut a 1/2″ (13mm)-wide slot in the center of the moving arm on the end opposite the hinge. Drill a 1/2″ (13mm)-diameter hole 13/4″ (44mm) in from the end before sawing so the saw breaks into each side of the hole. Drill four 11/32″ (8.5mm)-diameter holes through the center section of the fixed arm. Use these holes to bolt the arm to a clamping board or workbench. Assemble the two parts with a carriage bolt, washer, and nut. Tighten sufficiently to sink the square portion of the carriage bolt into the wood until the bolt head contacts the wood. Replace the nut with a quick-clamp lever. Step 3: Attach the arm to a clamping board or workbench. 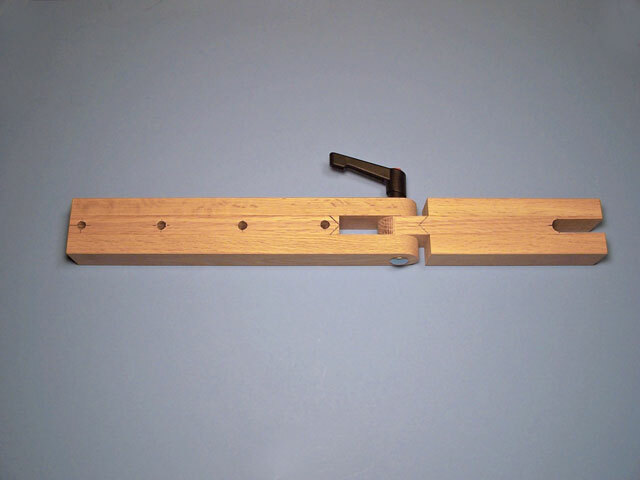 To make the arm portable, bolt it to a 3/4″ (19mm)-thick piece of wood. Clamp the wood to any surface to secure the carving arm. Use a 5/16″ (8mm)-diameter by 4″ (102mm)-long hanger bolt and a star knob to secure the carving to the arm. Screw the lag end of the bolt into a hole in the carving and slide the bolt into the slot in the end of the arm. Lock the carving in place by tightening the star knob and quick-clamp lever. Steel washer, flat: 5/16″ (8mm) dia. Drill bits: 5/16″, 11/32″, and 1/2″ (8mm, 8.5mm, 13mm) dia. CLICK HERE to download the Carving Arm Pattern. CLICK HERE to download the Carving Arm Assembly Drawing. 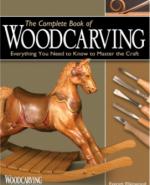 For more information on general woodcarving read The Complete Book of Woodcarving by Everett Ellenwood. 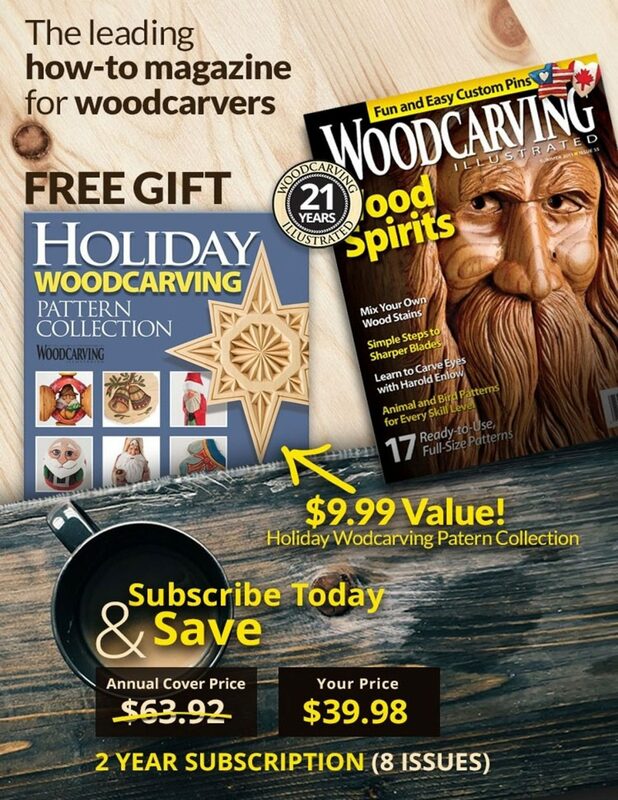 Brimming with expert instruction and nine attractive projects, you’ll learn all about carving styles, techniques, tools, wood, and much more! 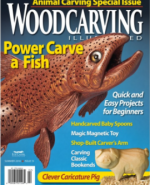 This comprehensive reference covers every classic style along and power carving too. Includes 9 projects and a helpful resource section.The book can be purchased from www.foxchapelmagazine.com for $27.95 plus S&H. 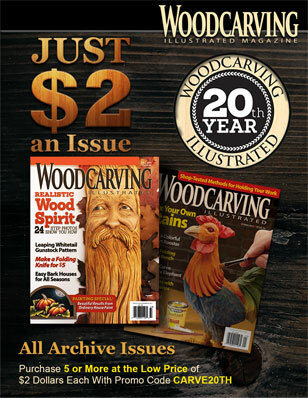 Read more great articles from Woodcarving Illustrated Summer 2010 (Issue 51) here.